Increase organization by tracking inventory, orders, customers and supplier information. 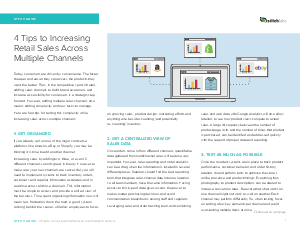 Utilize reporting tools to consolidate sales channel data. Test platform elements and gather customer feedback. Learn how to increase your sales channels without increasing your business complexity. Download this free guide today.